Douglas W. Grantham has practised law for nearly 40 years and has secured a trusting reputation of a client-focused law firm by providing high quality legal advice tailored to the legal needs of clients and their families in both the rural and urban settings. Grantham Law Offices believes there are no small legal issues. Legal issues are not equal and require careful and cost-effective solutions in order to work through them. 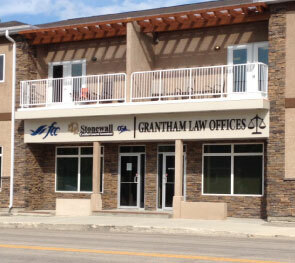 If you have a legal issue and require supportive guidance please do not hesitate to call Grantham Law Offices in Stonewall, Manitoba. We truly care about our clients. That is why we keep our costs reasonable so we may be available to the vast majority of individuals and businesses in our service area.